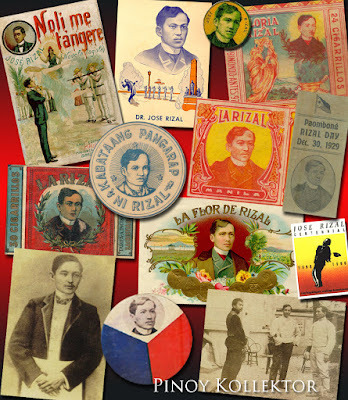 RIZAL DAY , a national holiday celebrated annually in the Philippines. It was first instituted with a decree from President Emilio Aguinaldo issued December 20, 1898 and celebrated December 30, 1898 as a national day of mourning for Rizal in Malolos, Bulacan and all victims of the Spanish colonial rule of the Philippines. 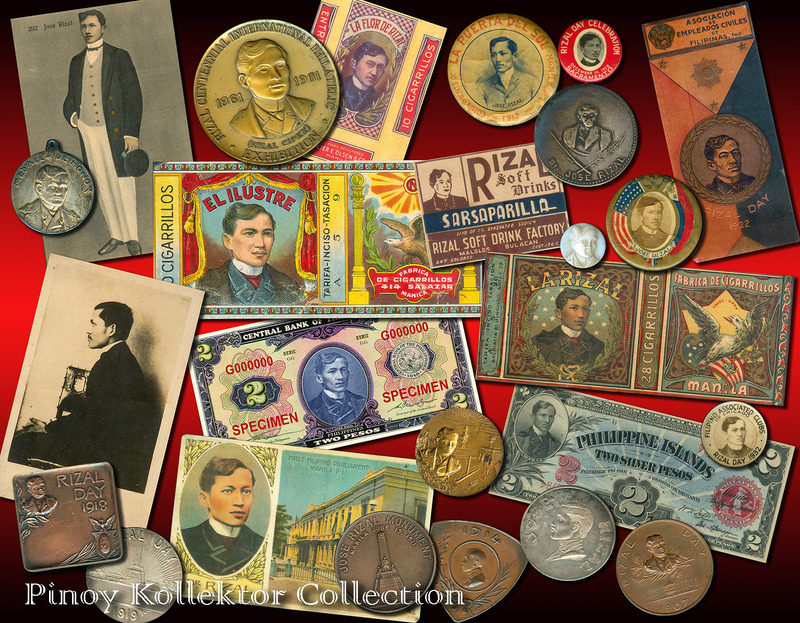 Rizal Day commemorates the work and life of José Rizal. 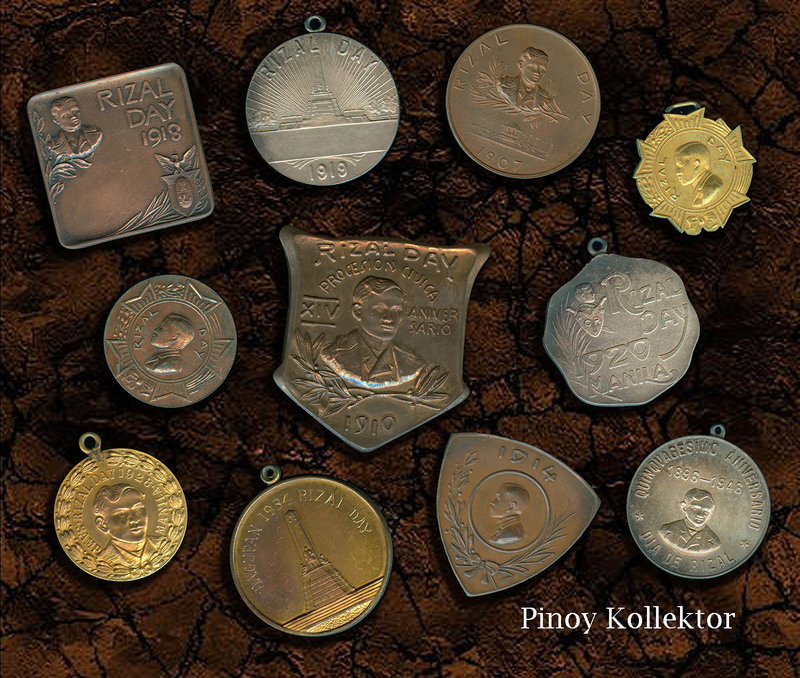 José Protacio Rizal Mercado y Alonso Realonda (June 19, 1861 – December 30, 1896) was a Filipino nationalist, novelist, poet, ophthalmologist, journalist and revolutionary. He is credited with starting the Philippine revolution against the Spanish colonizers. Rizal is the author of two novels, “Noli me Tangere” and the sequel “El Filibusterismo” , which exposed the injustices brought on by the Spanish colonizers in the Philippines. His undated poem, Mi Último Adiós believed to be written a few days before his execution, was hidden in an alcohol stove, which was later handed to his family with his few remaining possessions, including the final letters and his last bequests. With the victory of the Americans against the Spaniards in the Spanish-American War, the Americans took control of the Philippines. In an effort to demonstrate that they were more pro-Filipino than the Spaniards, the American Governor-General William Howard Taft in 1901 named Rizal a Philippine national hero. A year later, on February 1, 1902, the Philippine Commission enacted Act No. 345, which made December 30 a public holiday. 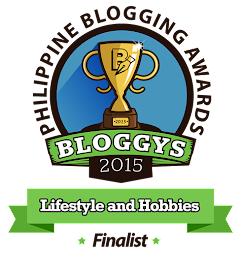 To underscore the solemnity of the event, President Elpidio Quirino signed Republic Act No. 229 into law on June 9, 1948 that prohibits cockfighting, horse racing and jai-alai every December 30. The law also requires that flags across the country remain at half staff throughout the day. 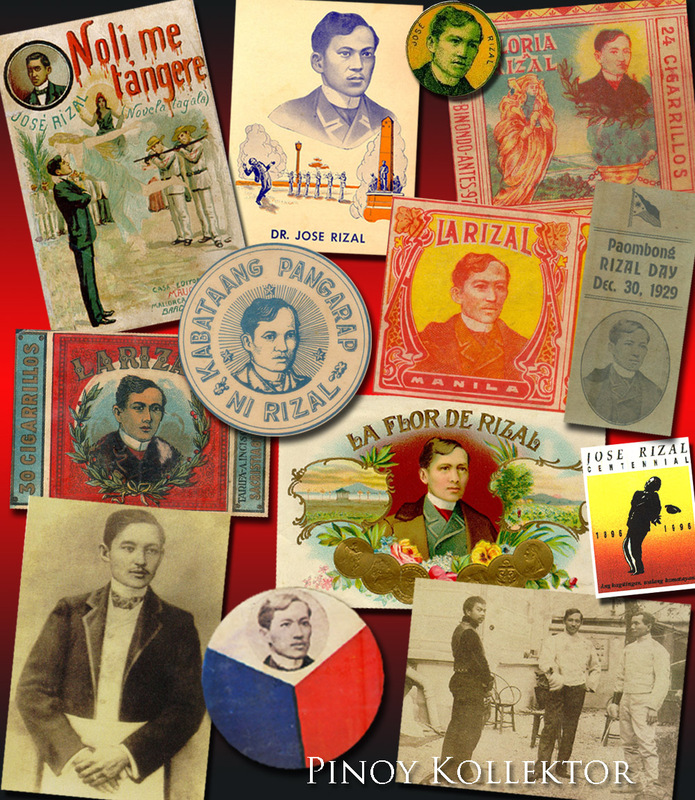 Rizal Day is celebrated every December 30, the day of Rizal’s execution at Bagumbayan, now known as Rizal Park, in 1896. Long before the Transformers, there was Voltes V. The year was 1978. It was the height of the Marcos dictatorship. The Philippines was under martial law. Thousands of dissidents were languishing in jail indefinitely. Dead bodies occasionally popped up in grassy fields— suspected victims of summary executions or “salvaging”. It was also the era of the giant Japanese super robot cartoons on television, the first generation of what is called “anime” today. 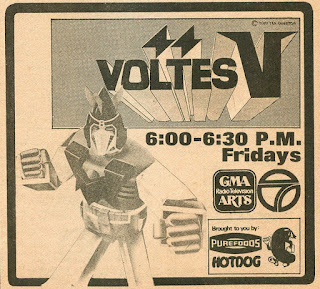 And for Filipinos who were only children back then, all they cared about were their super robot cartoon shows — and the most popular of them was Voltes V.
Children hurried home from school to catch the show, which was aired every Friday from 6:00 to 6:30 p.m. on GMA 7. Without knowing any Nippongo, they memorized the Voltes V theme song — which can still be heard as mobile phone ring tones. The story was about an alien race of horned humans from the planet Boazania out to conquer Earth. It was up to Voltes V to defeat the Boazanians’ giant robots, known as beast fighters, sent to destroy the planet. There was something else to it. Boazania was also under dictatorial rule from a despotic emperor, who faced an uprising from Boazanians who were discriminated against and enslaved simply because they had no horns. 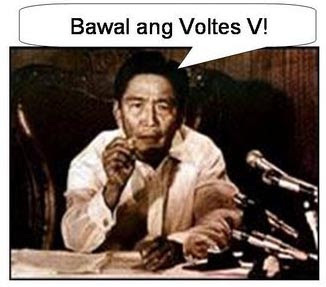 Then, one day in April 1979, just when the series was down to its last four episodes, President Ferdinand Marcos issued an order yanking Voltes V and all other robot cartoons off the airwaves. 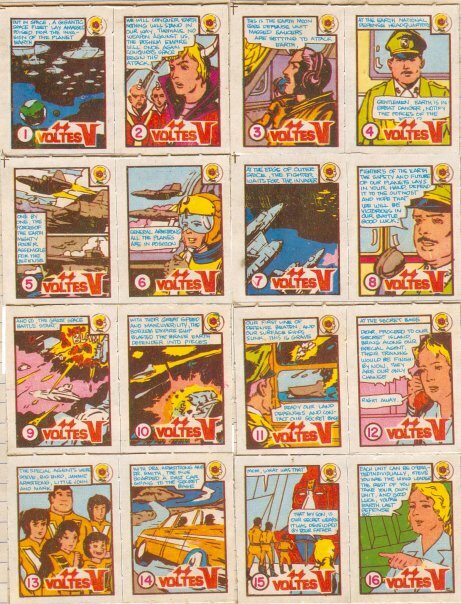 A generation of children — the so-called “martial law babies” — was left heartbroken and wondering how the Voltes V story ended. And they were very angry. There is a deeper meaning to the artwork than simply venting the pent up anger of an 11-year-old boy whose favorite television show was cancelled. It’s a history lesson from the young once to the young ones. “How I hated Marcos back then. If anger could kill, I probably could’ve killed Marcos,” says history buff Edward de los Santos, then aged nine. 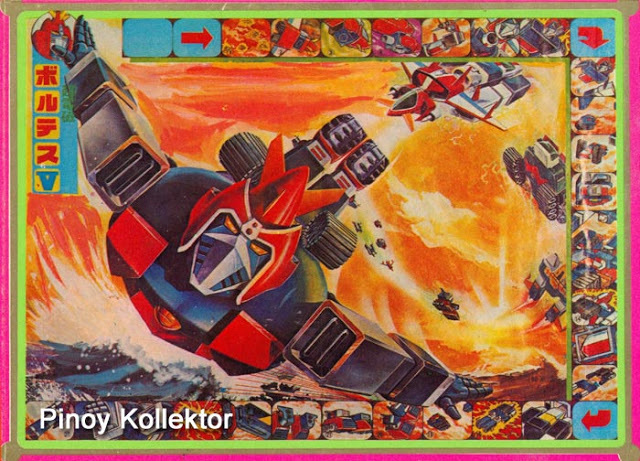 His memorabilia collection includes Voltes V toys, stickers, trading cards, coloring books and other merchandise that flooded the market in 1978. The official explanation for the ban was that parents complained about the cartoons’ “excessive violence” — and that was that. But the widely held suspicion was that the dictatorship was worried that the uprising in Boazania might one day give the political opposition some ideas. The result was the opposite. Children who otherwise would’ve paid no attention to Marcos, started taking notice of what was happening around them. When they came of age, particularly after the 1983 assassination of opposition leader Benigno “Ninoy” Aquino Jr., they joined their parents in the fight against Marcos. The anger has simmered down for many of the children of the martial law era but they haven’t forgotten. 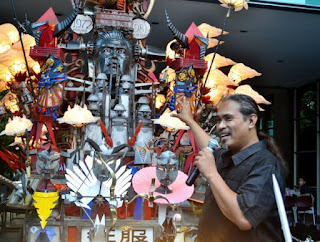 Artist Toym Imao gives a talk on his towering installation art piece. Photo by Romsanne Ortiguero, InterAksyon.com. 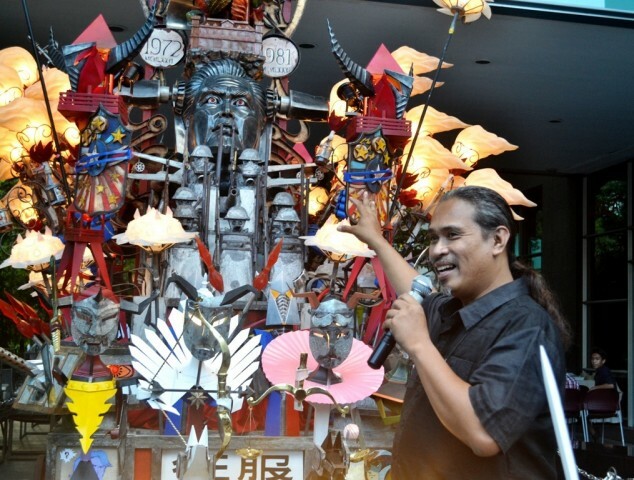 Last year (2015), Imao unveiled a 13-foot tall sculpture depicting Marcos as the Boazanians and — following the Voltes V story line — that the fight against the dictatorship was about good versus evil. The sculpture, titled “Last, Lost, Lust for Four Episodes”, is currently on exhibit at Ayala Museum. 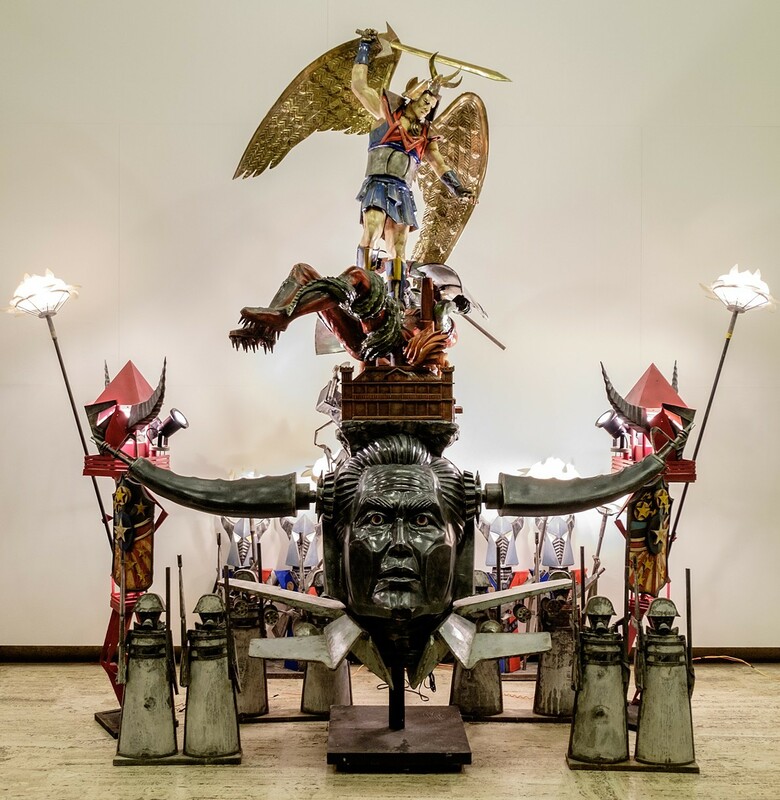 It’s easy for Voltes V fans to recognize and understand what the parts of the sculpture mean to symbolize, such as why Marcos is made to look like the devil, with M16 rifle barrels for horns, and why there is a building that looks like Malacañang Palace on his head. 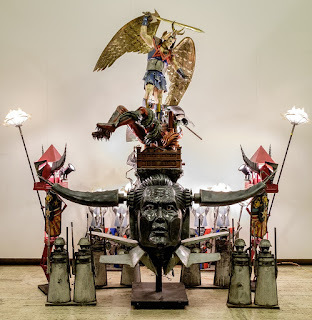 (aka San Voltes V) Fiberglass, brass, galvanized iron . Today’s generation may simply see it as an artwork demonizing the dictator. What they do not know was that it echoes the Sky Rook, the large Boazanian starship that resembled a skull with devil horns. 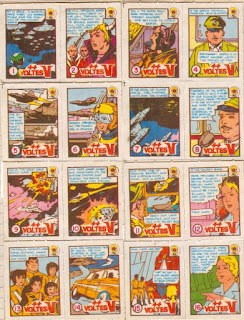 On top was a Disney-style castle, where the Boazanian leadership monitored the battles between their beast fighters and Voltes V.
The artwork has also something more relevant to say to the present generation: how Filipinos choose their leaders come elections, as if they have a penchant for committing suicide by politics. “My frustration does not stem from the fact that another Marcos is gunning for the highest position of the land, but from how a vast majority of our people—through their choice of leaders—perpetuate nepotism and political dynasties,” Imao says.